If you’re anything like me, you’d agree that walking around the farmers’ market is one of the best ways to spend a Saturday morning. During the summer and fall months, we plan our grocery shopping around what we’d like to purchase at the farmers’ market. Luckily, farmers’ markets have consistently been growing so there is always one close by to visit, regardless of whether we’re in town or not. Our farmers’ market staples: eggplant, potatoes, carrots, golden beets, kale, zucchini, asparagus, tomatoes, and peppers. All grown locally and taste amazing as they are all in season at the time of purchase! 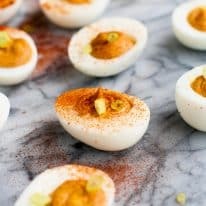 For this recipe, my goal was to create a recipe that was quick, full of protein and vegetables, and could be taken as you run out the door! 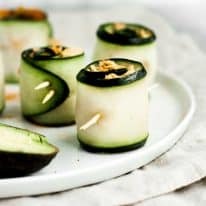 If you follow a paleo or Whole30 diet, are a vegetarian, or are just looking for a new (and easy) breakfast option to grab on the go, this one is for you! I make this egg bake on Sundays and eat a piece or two each morning. In an airtight container or sandwich bags, this will last all week! Any of the vegetables included in the recipe could be substituted but we would recommend keeping sweet potato as an ingredient as it works well as a “filler” of sorts. Because sweet potato rocks. 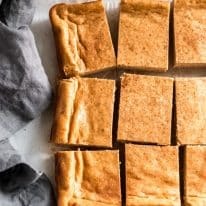 This recipe is paleo, Whole30 compliant, low-carb, vegetarian, nut-free, grain-free, dairy-free, gluten-free, and sugar-free! 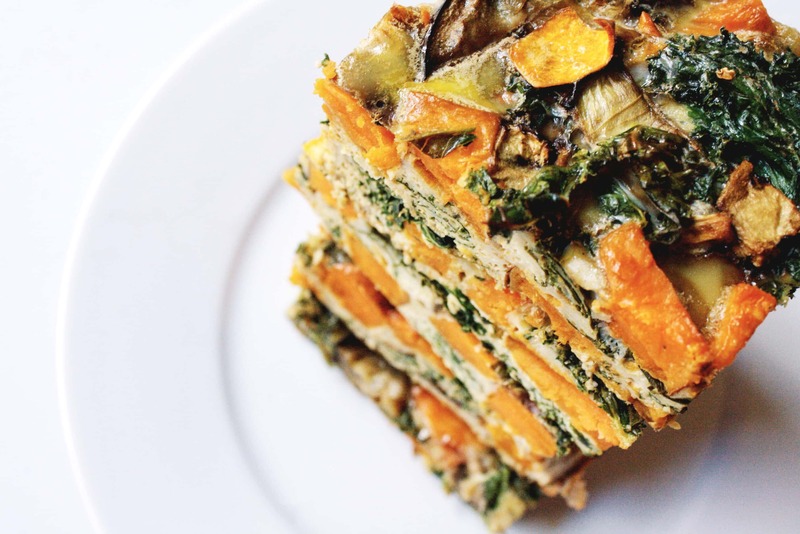 This Farmers’ Market Vegetable Egg Bake is the ultimate Whole30 breakfast options for those busy mornings when you’re on the go! This recipe is paleo, Whole30 compliant, vegetarian, nut-free, grain-free, dairy-free, gluten-free, and sugar-free! Place minced garlic and 1 tablespoon ghee in pan over medium heat. Add sweet potato to pan and cook until soft. Add kale, eggplant, and cracked pink Himalayan salt to sweet potatoes and cook until vegetables are soft. In a separate bowl, crack and whisk eggs together. Add vegetables to whisked eggs. Grease casserole pan with remaining ghee. Pour vegetable and egg mixture into casserole pan. Bake for 30-35 minutes or until edges appear golden brown. I found clarified butter (ghee) at Trader Joe’s. Great! Thanks for letting us know that, Jenny! Looks delicious but where do u find ghee? You can find ghee in most health food grocery stores or online through Thrive Market, which is where I got mine. 🙂 Otherwise, ghee is just clarified butter (butter with dairy removed) so you could also make it at home. If you wanted to sub out ghee, you could use olive or coconut oil.